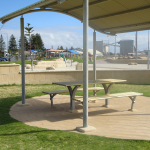 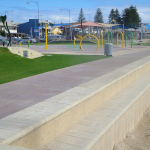 The City of Greater Geraldton, in 2009, undertook a major undertaking in the upgrading of the Geraldton Foreshore. 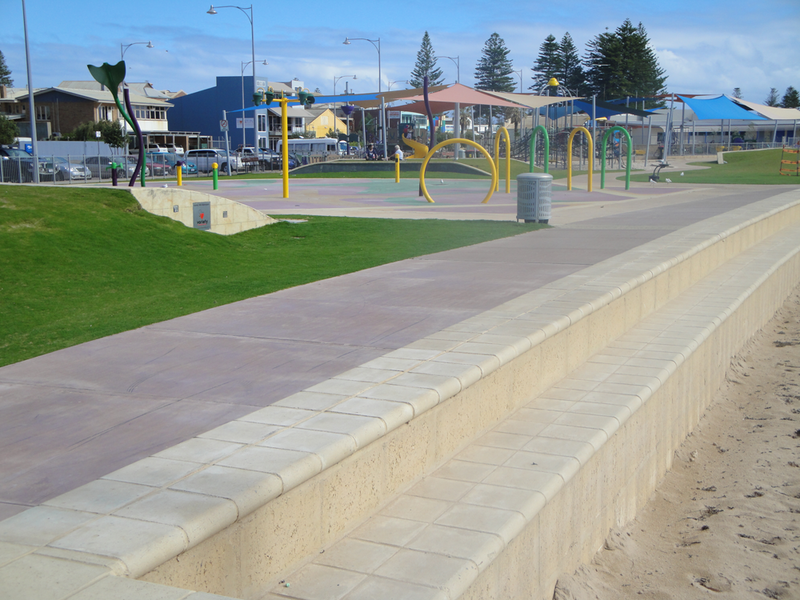 The new area included walkways/paths, Gardens, Water Park, BBQ areas, a skate park, to mention a few. 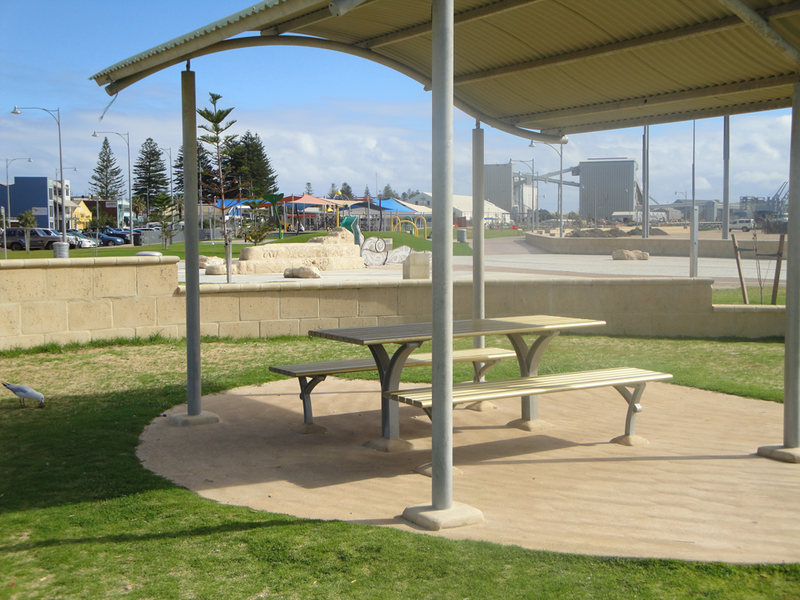 The facility completely changed the Geraldton foreshore, and the beautiful area is now utilised by both residents and visitors alike. 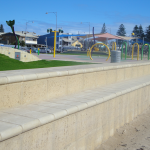 The area was retained using solid, reconstituted limestone blocks, and seating on top of the wall was achieved using a double bullnose block. 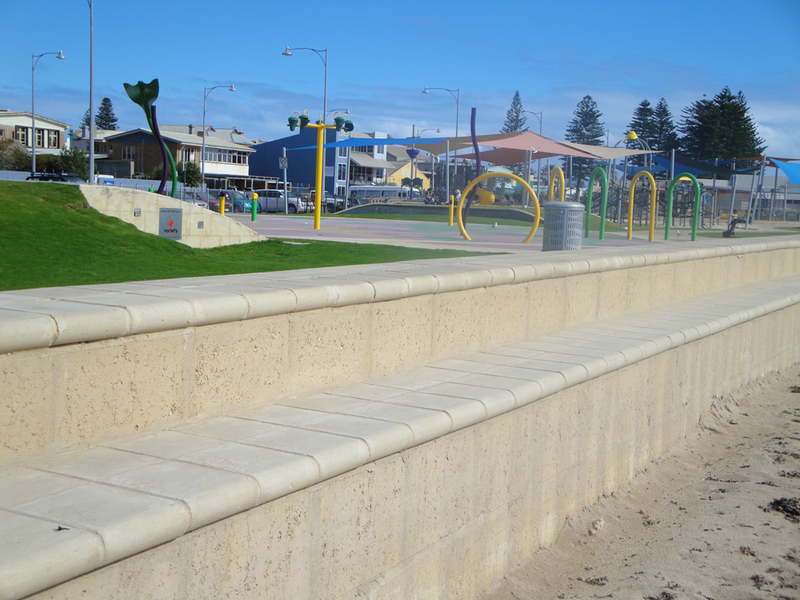 These blocks and caps were manufactured using a specially designed mix to withstand the harsh foreshore environment.